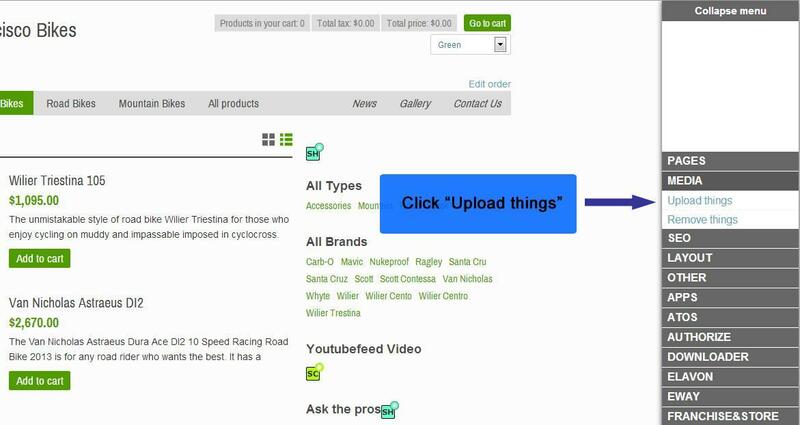 Whenever you need to use images, show videos, link to files on your website, look for the "Upload things" link. You will not have to look for it much, as we made sure it would be available to you anytime you need it. As a reminder, SeoToasteris a front end edition software, there is NO admin area, all features are administrable from the front, therefore very easy to learn. SEO Feature: All images automatically open to their original size when clicking on the thumbnail for a better user viewing experience. 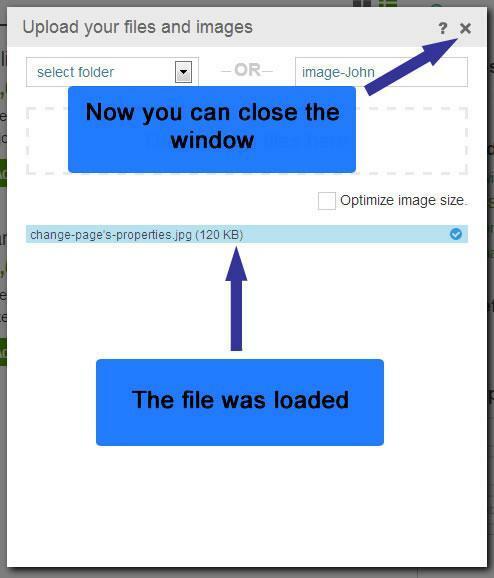 In addition, the "alt" tag is automatically generated based on the name of the file and added to the image for a better experience for users reading from text-based browsers. Make sure you name your images appropriately! So, to upload an image or file, go to Media -> Upload Things. 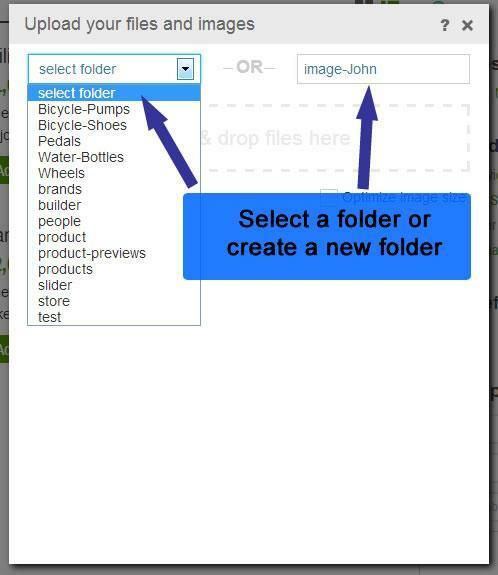 Choose a folder from the dropdown list or create a new one. 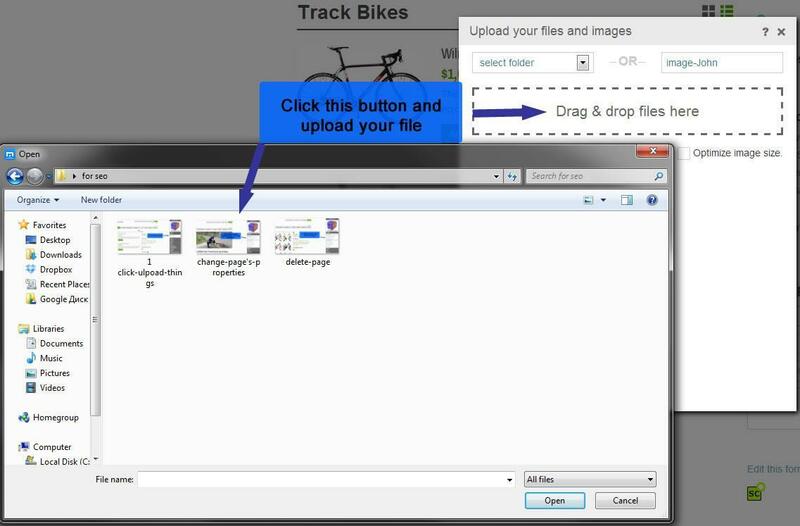 Click the button "choose and upload file" and upload your image or file.